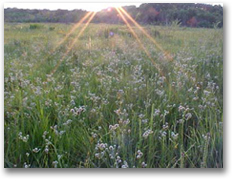 Although the term prairie is usually associated with the Great Plains, there is another American prairiethe coastal prairie of Louisiana, the birthplace of a unique and thriving culture. The words "Cajun country" may bring to mind a freshwater swamp or a moss-draped bayou. But the prairie is also home to Cajun culture. The word "Cajun" comes from Les Acadiens, French colonists who were exiled from Nova Scotia in 1755. Rayne is located in the heart of the region known as Acadiana, named for the Acadians who came here centuries ago. Cajun food and music help define and add spice to prairie life, but Cajuns are only part of this cultural gumbo found no place else. The modern-day cultures of the regionCreole and Cajunare a rich blending of diverse cultures, including French, Spanish, German, African, Scotch-Irish and Native American. Wherever you go in Cajun country, you will be captivated by the friendliest people in the worldgenuine, hardworking folks who find the time to laugh a little, dance a little, and live a unique way of life to its fullest. Rayne, Louisiana is the backyard of the migratory bird Mississippi Flyway. 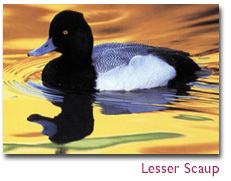 The Flyway, wildlife routes from north to south during seasonal migration for Canadian Geese, Mallard Ducks, Wood Ducks, Lesser Scaup and other waterfowl, empties into South Louisiana each year. During the height of migration this region offers wonderful observation sites. The Louisiana Western Railroad built the Rayne station in 1880. Three years later, named after the railroad engineer who laid the track, B. L. Rayne, the city of Rayne was born. The railroad has played a vital role in the history of Rayne. From exporting rice and barrels of frog legs, to bringing soldiers into the city for training in World War II. Maison Daboval Bed and Breakfast was a railroad boarding house during the 1940's, linking the home's history to the special relatonship between the railroad and the city. On the prairie, Mardi Gras runs or courirs de Mardi Gras take place each year in Acadiana's parishes. In one of Louisiana's most richly dramatic traditions, masked and costumed riders on horses, trucks or wagons ride from house to house in their community, begging for contributions to their gumbo that night. At each stop, they entertain their hosts by singing, dancing and clowning in exchange for donations. Frogs and Rayne have a history leaping back to the 1880's. The Weill brothers from France started exporting Rayne frog legs, a delicacy made famous by chef Donat Pucheau, to restaurants all over the country. For many years the famous frog legs were found on gourmet restaurant menus, like Sardi's from New York. Rayne is now internationally known as "The Frog Capital of the World". The city even hosts an Annual Frog Festival every year during the second weekend of September. 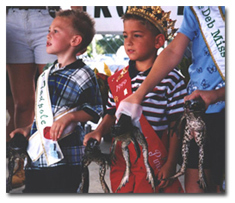 Listed as one of Louisiana’s top festivals, the immense popularity stems from the appeal of the frog racing and jumping contests, the Frog Festival Queen's contest, the Loins Club Frog Jockeys, and many more unusual events. From the opening "Fais-do-do" with traditional Cajun music to Frog Festival Parade, guests are filled with a contagious "Joie d’vivre".